Postcard IL-31029 from Israel shows the Dead Sea, a salted water lake on the border between Israel and Jordan. The description on the postcard reads: "Its shore is lowest place on Earth, over 400 meters below sea level. Sodom Mountain is in the North East of the Negev Desert. It's about 11 km long and and 200 meters high and was probably created about 20,000 years ago. 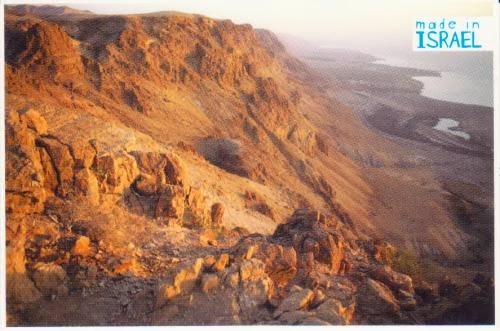 It's named after the Biblical city of Sodom which is thought to have been located nearby."